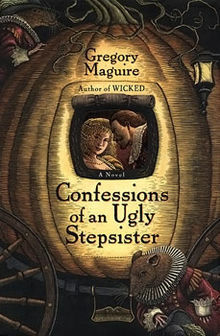 The story follows a version of Cinderella as told from the lens of one of her Ugly Stepsisters. The book delves into the life of Iris, and Ruth as they flee England with their mother and adapt to living in the Netherlands. The clssic story then unfolds with many twists and turns. Maguire does an excellent job taking the original characters from Cinderella and fleshing them out to create something new in this age old fairy tale. If you’ve not given it a read, try it out! It’s pretty fantastic.